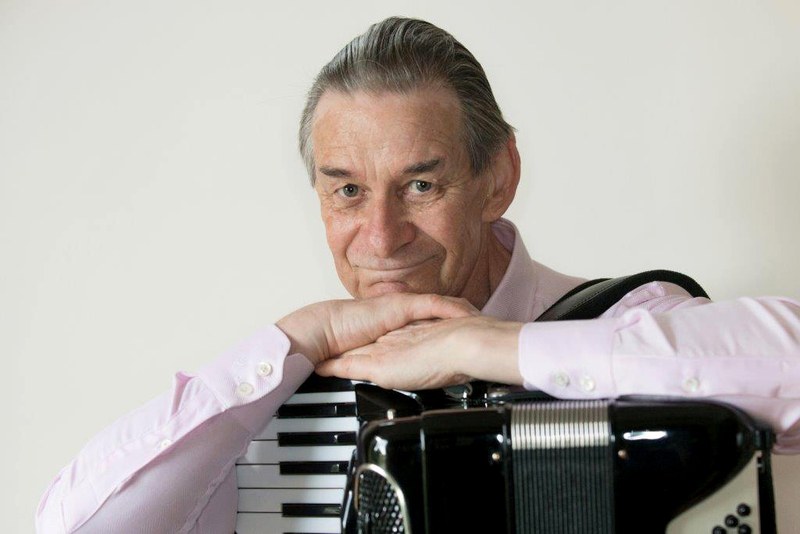 Douglas Ward has played the piano accordion for over 50 years (for 17 years professionally.) In his youth he won many accordion competitions in the UK. The instrument has taken him literally around the world, first as a small group leader aboard the large ocean liners Queen Elizabeth, Queen Mary and Queen Elizabeth 2 (QE2), all now retired from the trans-Atlantic crossing service. He has been deeply involved in accordion activities in England as a teacher, adjudicator, and composer He also introduced the convertor free bass instrument to the UK in the early 1960s. In 1966/7, he worked as an arranger and transcription artist for Charles Hansen Publications in New York, in an office at 47th Street and Fifth avenue, and wrote the History of the Accordion for the USA’s Contemporary Keyboard magazine (much of this article is featured on the Worldwide Accordions website). He has adjucated at the UK’ s National Accordion Organization’s Accordion Day for many years. He moved to the United States again in 1979, where he lived for over 20 years. During that time, he adjudicated many accordion competitions including the annual National Accordion Championships held by the American Accordionist Association (AAA). In 1968, together with Faithe Deffner, he organized the first Floating Accordion Festival aboard the ocean liner Galileo, when more than 600 accordionists took part in a 6-day festival cruise from New York to Bermuda and back to New York. He also taught at the Acme Accordion School, operated by the respected contemporary accordionist and educator Stanley Darrow. He has written over 80 compositions for the instrument, varying from elementary solos and duets to virtuoso works, and his virtuoso pieces have been played at the states and national competition level in the United States. He now lives in Hampshire in England, and enjoys composing for the instrument, and adjudicating. Douglas Ward is a member of the Performing Rights Society (PRS).